These are to be sewn onto at least one of your HC blue shirt. 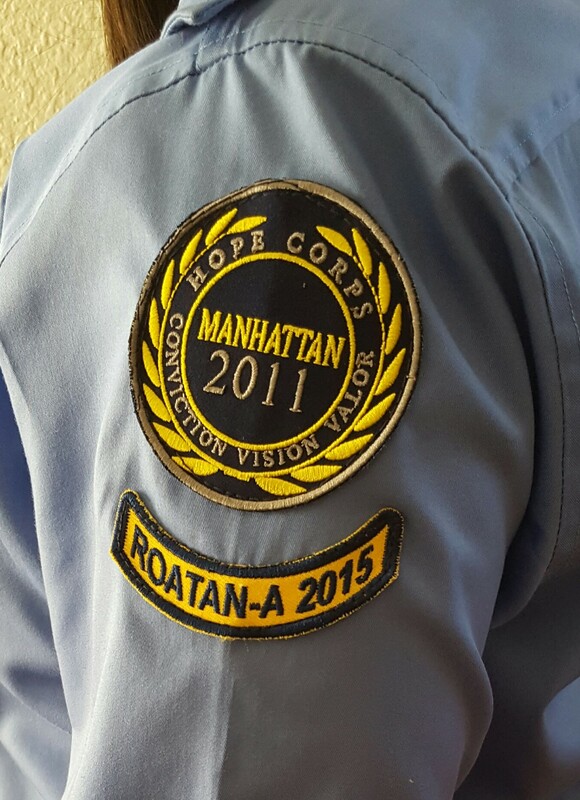 It can be worn at Hope Corps events in your local church, PEAK and Summit! 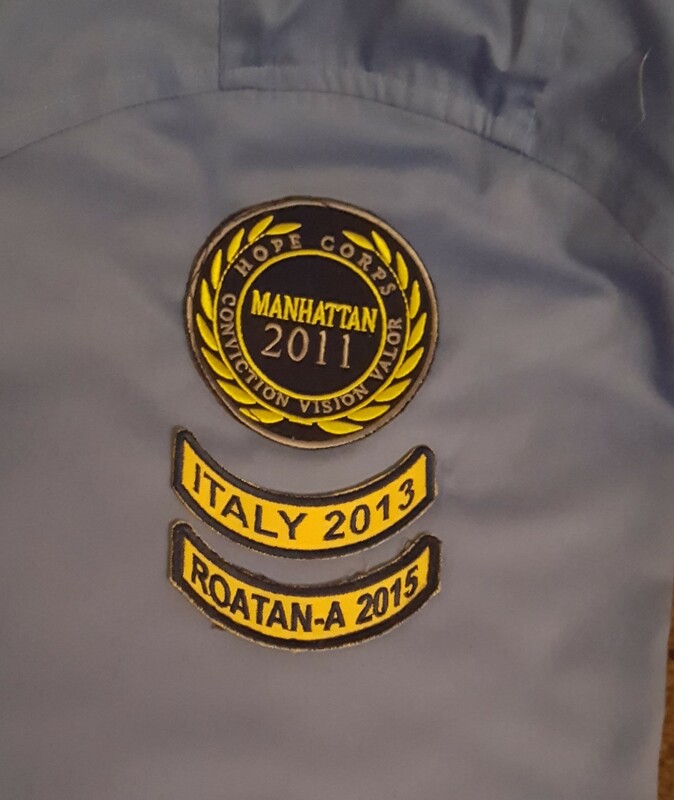 After you attend an ITW the first time, you will be awarded an ITW Patch at the end of that ITW. There is no charge for your first ITW Patch. This should be sewn on and worn for your Hope Corps Graduation at Summit. If you attended subsequent ITW’s as an approved alumni, you can purchase an Alumni ITW Stripe for that ITW that is worn below the ITW Patch. These can be purchased on the Hope Corps Store for $10. If you desire to order an additional patch and stripe for your second HC shirt, you can do so on the website as well for $15 each. 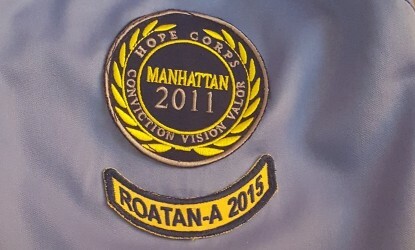 Patch will be located on the left sleeve. It should be sewn centered 1 inch below the shoulder seam. Stripe will be located on the left sleeve. It should be sewn centered 1/2 inch below the contour of the patch. It should be sewn centered 1/3 inch below the contour of the first stripe.